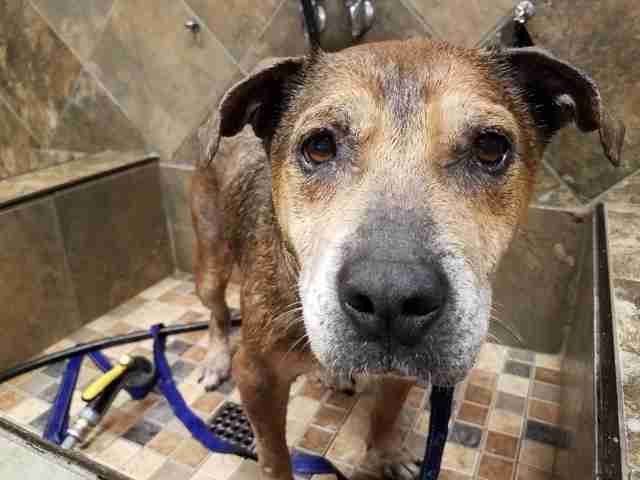 There was no reason to think a 14-year-old dog up for euthanasia at a shelter in North Carolina would ever be saved. 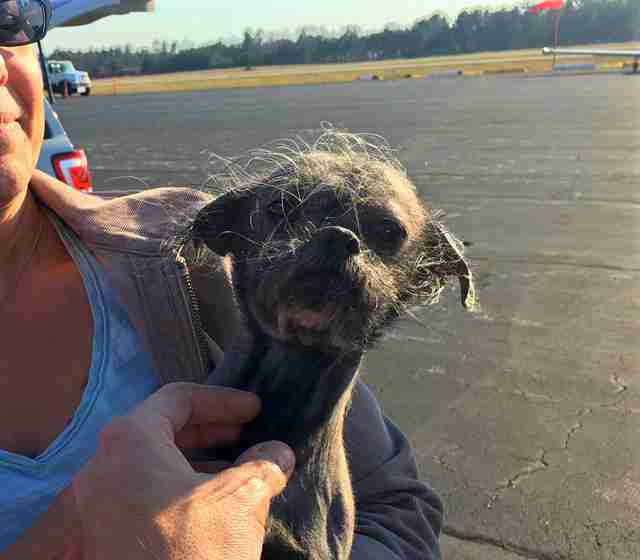 Covered in parasites and sores, it was clear that her owners had kept her outside, probably for her whole life, and had never taken her to the vet. 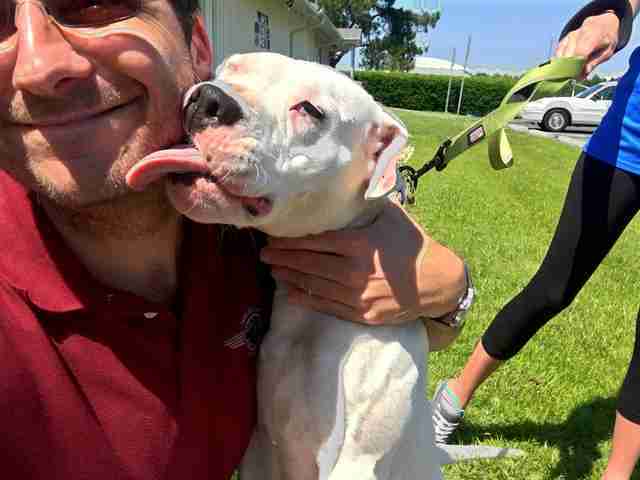 Then they dumped her at the shelter. But now Emma gets to sleep on her first dog bed ever — all thanks to a very special pilot. 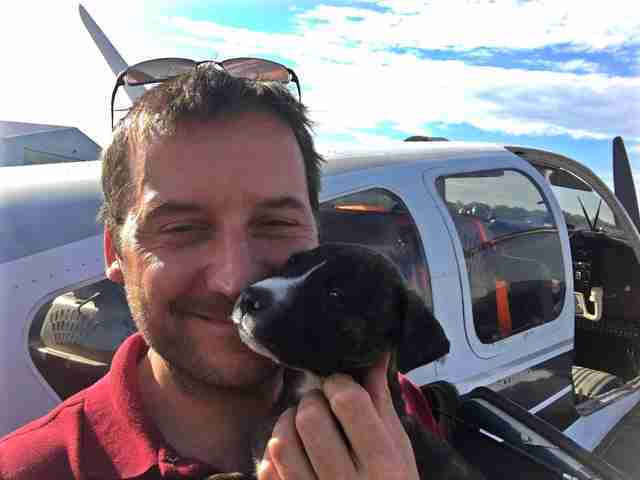 In the spring of 2013, network engineer and Army veteran Paul Steklenski decided to take up flying. As he was training and getting his license, he decided he wanted to welcome a dog into his family. These two things seemed totally unrelated at the time. “We went to pet stores and then we went to shelters, and started to learn the difference,” Steklenski told The Dodo. 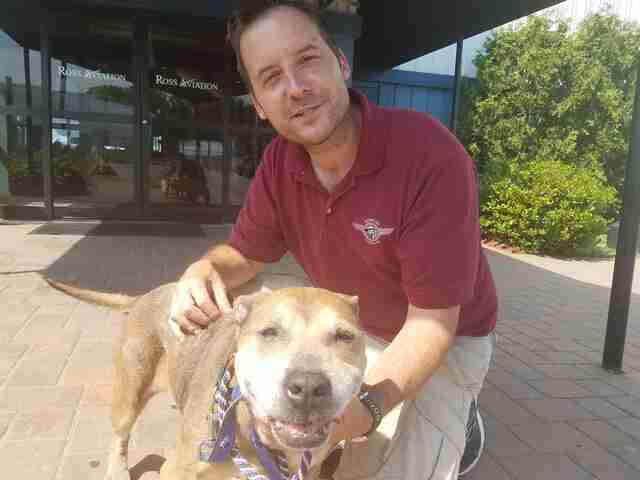 Steklenski learned all about the amazing network of animal lovers who work to save unwanted dogs from shelters. And through this network Steklenski had never known about before, he found his new family member. 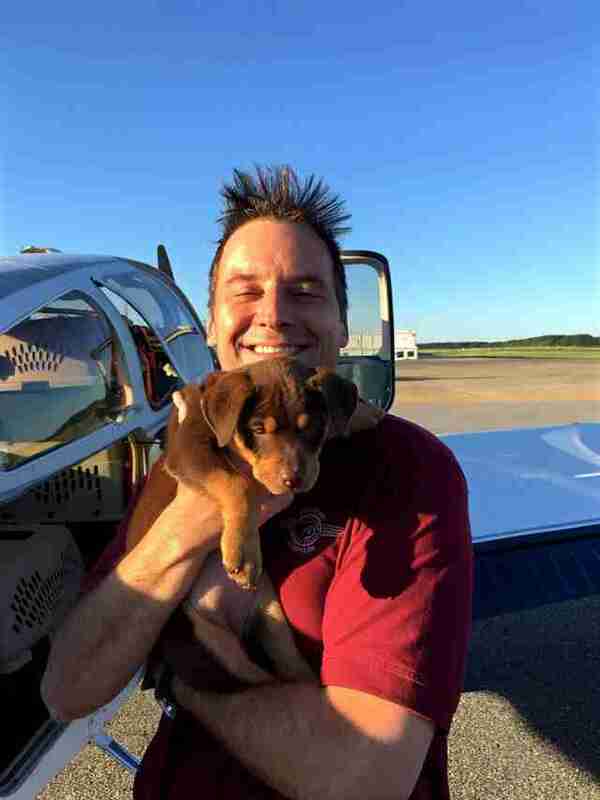 Steklenski started doing some missions for Pilots N Paws, a group that coordinates volunteer pilots with animal rescue organizations that need help with transporting animals. But he kept feeling like even more animals could be saved if he started making the connections on his own. 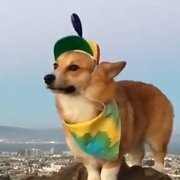 So that’s what he did in 2015, founding Flying Fur Animal Rescue. He would rent planes from Pennsylvania, where he’s based, and fly to North Carolina and then back up to the New York area. 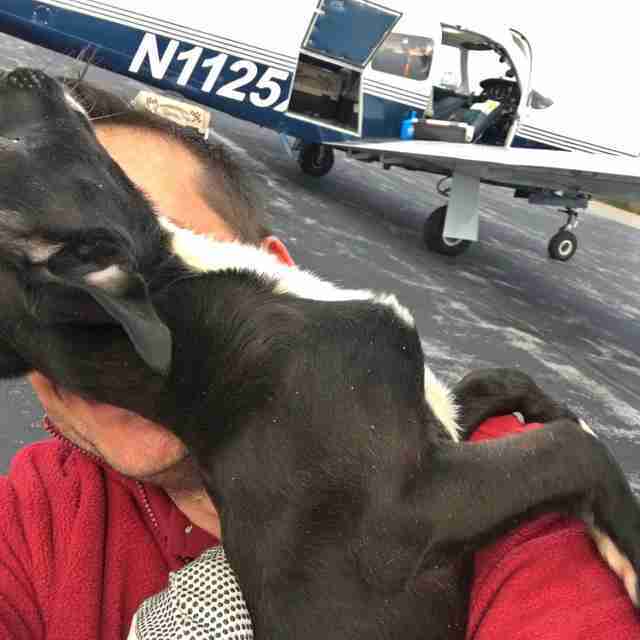 Luckily, other animal lovers have pitched in over the past few years — and Steklenski has been able to buy a plane just to save animals, which also helps save rescue organizations the cost and stress of coordinating transport of shelter animals who need urgent rescue. “It’s the only reason I fly,” he said. Steklenski lives for these moments. 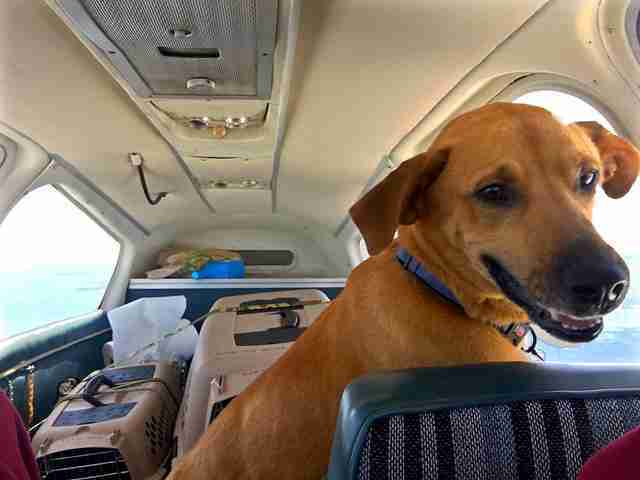 And the photos of him in mid-flight with a rescue dog at his side capture the sheer joy of the trip. But Emma’s flight was especially memorable. 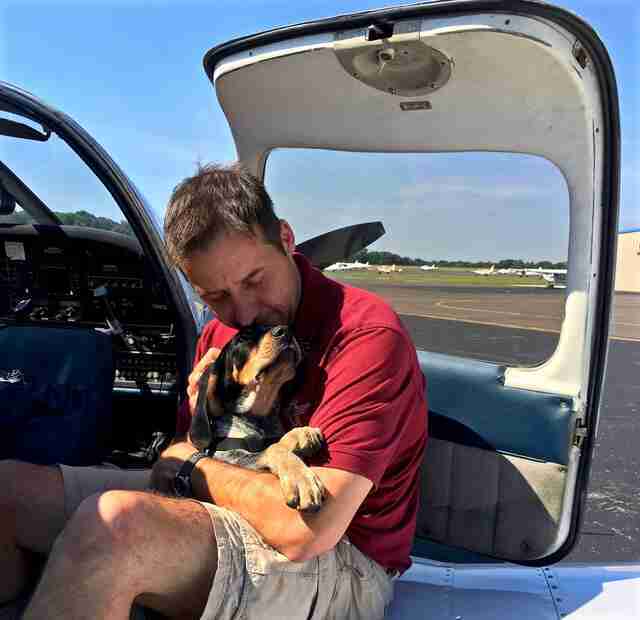 Steklenski was flying the 14-year-old dog who’d been neglected her whole life up the East Coast when something amazing happened. The airspace over New York City is one of the most crowded in the world, so small planes hardly ever get the go-ahead from air traffic control to fly over. 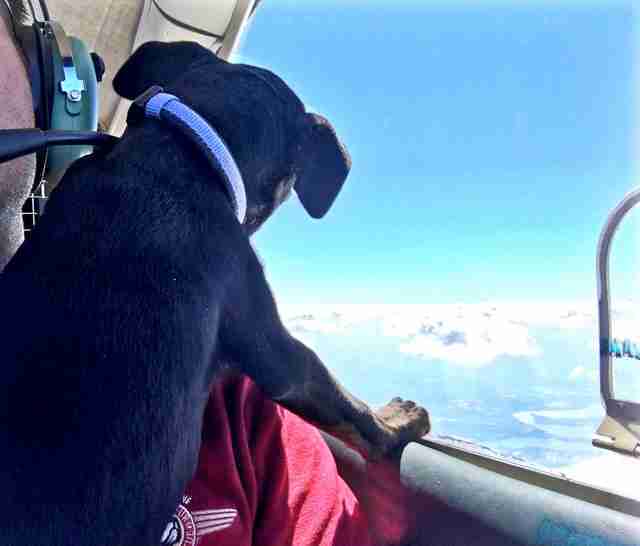 Steklenski certainly never had — until he was in the plane with Emma. 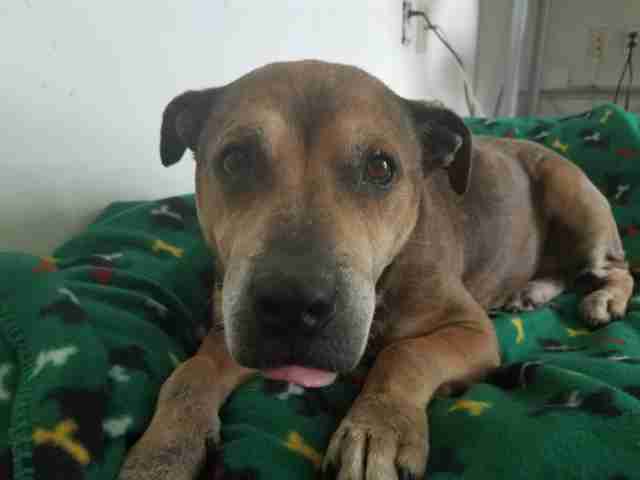 The rescue group sponsoring Emma’s medical care is Animals R Family, through two generous supporters of the rescue. 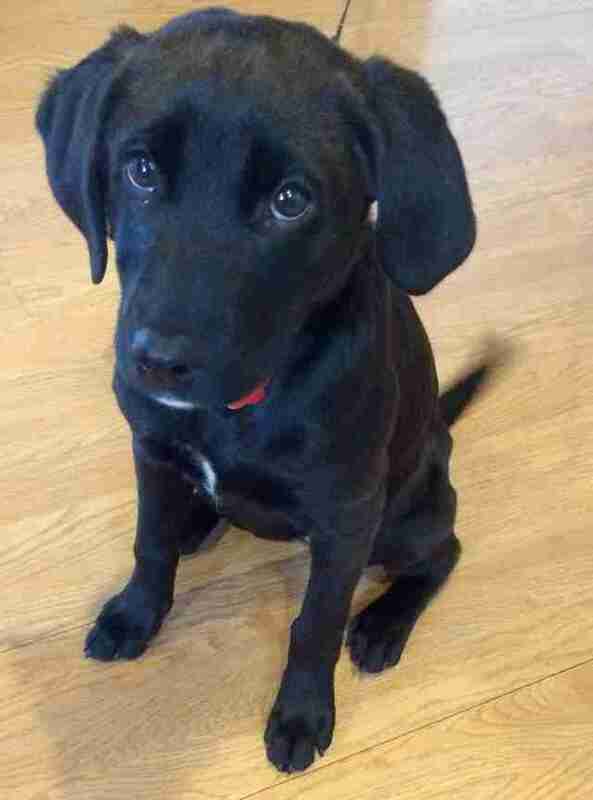 Currently in a foster home, Emma will be up for adoption once she’s healthy. Emma should be ready for adoption in the next month or two. 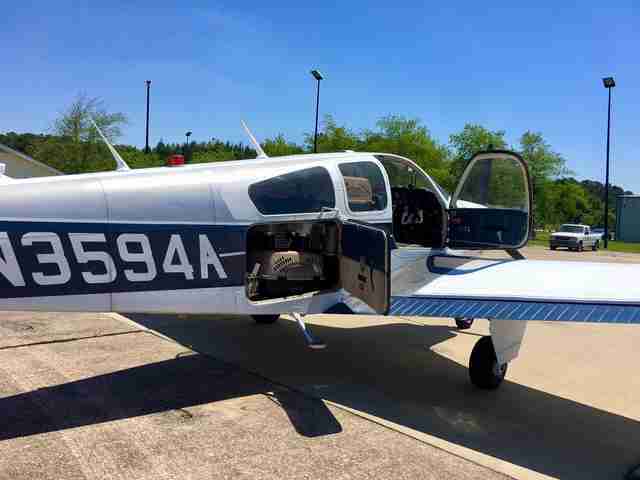 It’s hard to think about what would have happened to Emma if she hadn’t caught that incredible flight over New York City with Steklenski at her side. To help needy shelter animals everywhere, share this story and remind your family and friends to adopt, not shop. 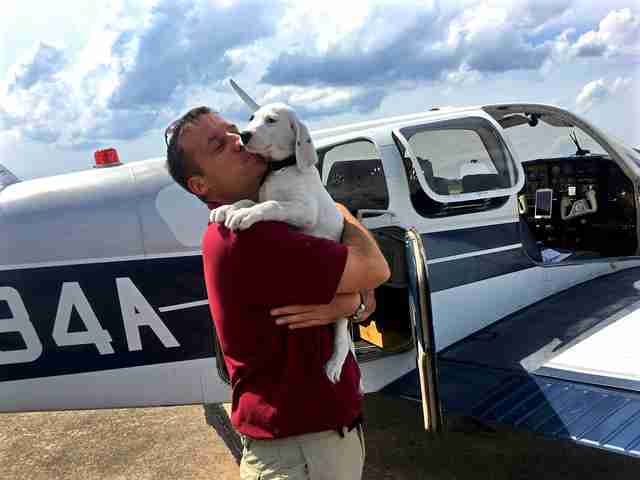 To help Flying Fur Animal Rescue, you can make a donation. 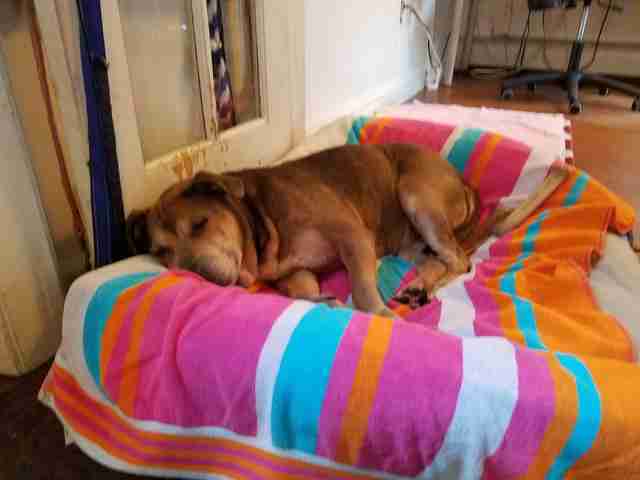 You can also donate to Animals R Family, or, if you think you can give Emma the home she deserves and you live near New York City, you can email animalsrfamilyinc@gmail.com and ask about adopting her.